Faster Vehicle Upgrade Don’t wait to get behind the wheel of a new Acura. When you lease, you have the flexibility to upgrade more often, keeping you on the cutting edge of automotive technology, style, and performance. Factory Warranty Coverage Drive with peace of mind New Acura vehicles are usually covered under a factory limited warranty for the first 4 years/50,000 miles. Lower Payments Your upfront payment and monthly payments may be less with an Acura lease. This makes it more affordable to show off your new ride during a night on the town. Guaranteed Asset Protection (GAP) Gap insurance pays the difference between what you owe on the vehicle and what your insurance covers if your Acura is stolen or deemed a total loss after an accident. Your Choice of Leasing Terms With term choices from 24 to 60 months, you can control how much you pay monthly and how long your lease runs. Drive a new Acura more often with the 24-month lease or pay less every month with terms up to 60 months. Take a look at Acura’s available incentives. End-of-Lease Options When your lease is up, you may extend it, purchase your current Acura, or slip behind the wheel of a brand-new Acura with a new lease. There are no last minute purchase price surprises because the price you were quoted is the price you pay at the end of your lease. 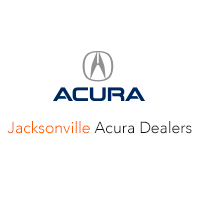 First Coast Acura Dealers	, .